In December of 2002 I bought myself a Ducati 600ss and had roughly a year of mid-capacity V-Twin fun. 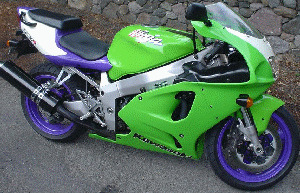 The innevitable thirst for more power resulted in a return to scouring the motorbike trade-mags and the subsequent purchase of my last bike, a '97 model Kawasaki ZX-7R. From December '03 to January '04 I'd taken loads of twins and 4-cyl machines of various capacities out for test-rides and nothing I'd tested felt 100% like what I wanted out my my next bike. Finally I spotted a final-edition 900ss duke in Christchurch and flew down to check it out, but it wasnt quite up to the mark. While I was in town I spotted the ZXR in another bike-shop, took it for a ride, and fell for it. 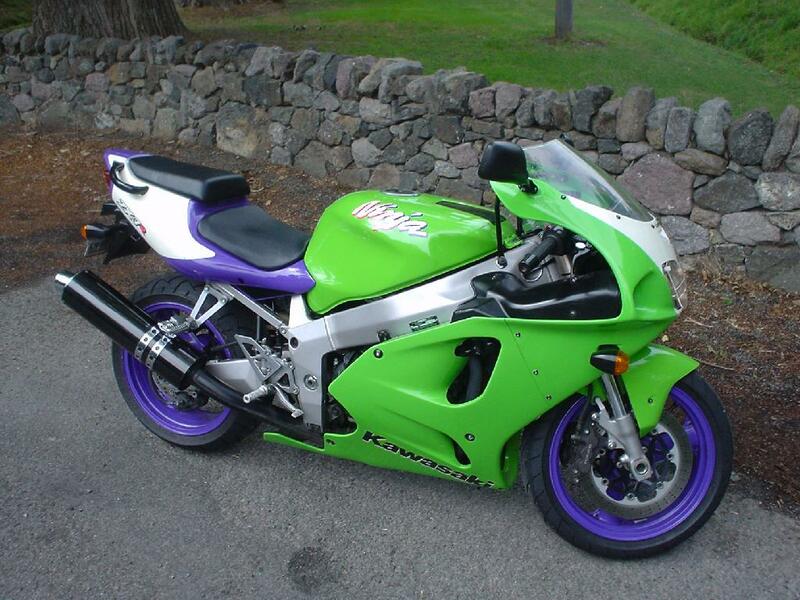 It was in great cosmetic condition, had done 40K so far which I'm wasnt worried about coz by the sounds of things the modern ZX engines seem to be pretty robust, the specs of the bike basically didnt change between '95 and '01 which is encouraging, in fact about the only thing that did change was the colour scheme. I clocked up another 20,000 km's on the thing in 18 months. Notes: A little heavier than its Suzuki contemporary (GSXR) and considerably bulkier than your average garden 600 SuperSport. None-the-less, the ZXR puts out around 105HP, has a suprisingly flat torque curve, brakes are great and handling is wickedly stable and predictable. Has looks you either love or hate, I happen to love it. When I'd been considering what to buy next I was looking principally at bigger twins. I liked the idea of a 900ss duke but felt I really should get something different. Was quite keen on the Japanese 1000cc twins after riding them (VTR honda or SV Suzuki) and had a couple of runs on late model (and new) 600 4-cyl supersport machines.